I think I took this picture from the ferry over to Jura, looking back to Islay. The sailing yacht was tacking down the Sound of Islay, not sure if it had at least the tide pushing it. In the background is Dunlossit House high above the sound. 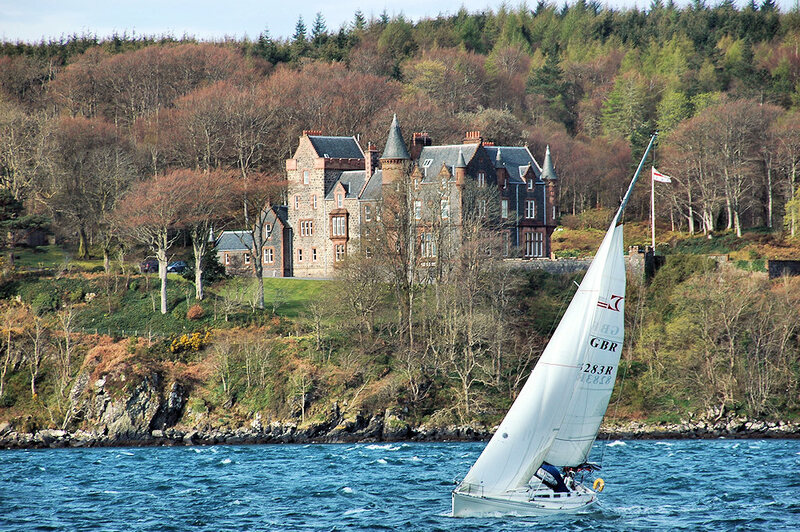 This entry was posted in Jura Excursion, Landscape, Repost, Sunny Weather and tagged Dunlossit, Port Askaig, sailing yacht, Sound of Islay by Armin Grewe. Bookmark the permalink.